Tim Grgurich is a longtime NBA assistant basketball coach that has worked with multiple different NBA teams in different roles. He is considered a key contributor of modern day skill development in the NBA. 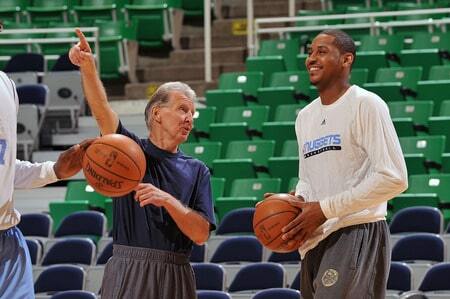 Along with coaching in the NBA Tim has coached at the college level. He coached at UNLV with Jerry Tarkanian and was able to help develop players like Larry Johnson and Stacy Augmon. These basketball coaching clinic notes are from the 2013 NAU coaching clinic and is going to primarily cover defensive strategy. In coaching it is always import to continue to learn and grow, and a great way to do that is by learning from other great coaches like Tim Grgurich. • Bigs must be your communicators on defense – They see EVERYTHING!